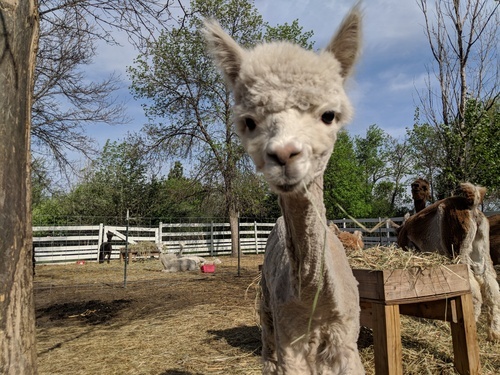 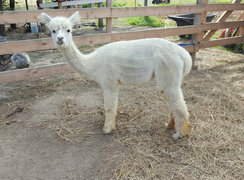 Sweet, full Peruvian white female ready for a fiber or pet home. 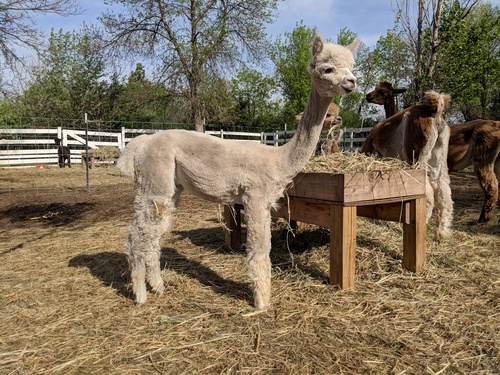 Soft, snowy white fiber with ok density, she just has too many hairs for us to put her in a breeding program. 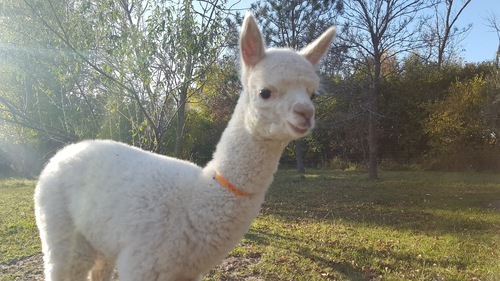 Alma has a great personality, she is curious but quiet and sweet.